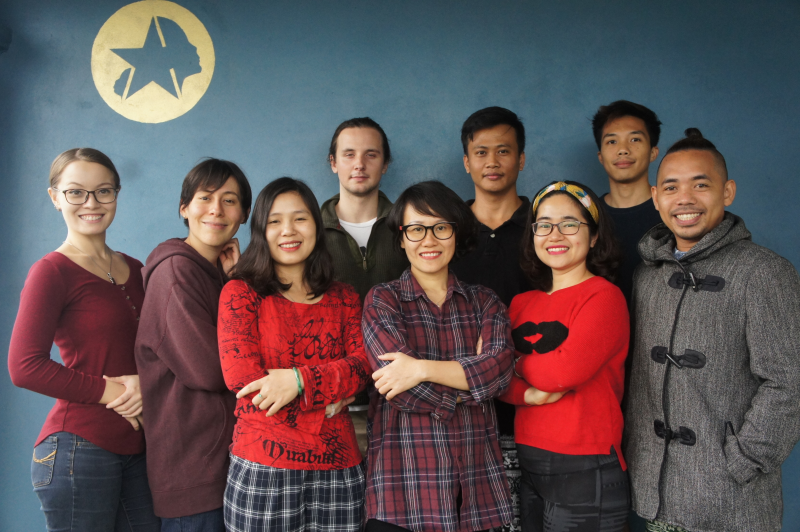 DescriptionOur Teach for Change program is a Coins for Change initiative that provides fair English educational opportunities for marginalized children's and women's groups in Vietnam. Our program brings in international volunteers from all over the world to teach English at our 12 partner locations across the country. In exchange for working a maximum of 20 hours per week, we provide accommodation, food, visas and an online 120-hour TEFL certification. This is a great opportunity for those seeking a unique cultural exchange experience, professional development, and travels, all while supporting marginalized women's and children's groups. Hours per day Volunteers work a maximum of 20 hours per week and receive 2 days off per week! Work requirements: 1. Commit to at least 3 months in our program. 2. Have a valid visa. 3. Be at least 18 years old. 4. Be fluent in English and have strong English writing skills. 5. Teach English for about 20 hours per week. Availability: Anytime of the year. Has pets? Most of our partners allow pets and we also have pets. Accommodation: At C4C, our volunteers have the choice of living in either a homestay or a shared volunteer house, depending on the project location. At our homestays, the volunteer will live with our local coordinator's families or with our beneficiary families themselves! Volunteers are fully supported with basic accommodations that will fit your needs. We offer a variety of both shared and private rooms depending on the location. In these homestays, you will have a chance to learn to cook traditional Vietnamese meals, experience Vietnamese home life, learn the language and explore the local areas. Volunteers who prefer a more private experience can request to live in a Volunteer House, where they will share a fully equipped house with other volunteers. Here, volunteers share rooms or have their own private rooms, in addition to sharing bathrooms, a kitchen, a laundry room, and living rooms. These accommodations are given in exchange for your commitment to facilitating English classes for a maximum of 20 hours per week, in addition to other activities that you have promised. We require that our volunteers treat these accommodations with care. Please clean up after yourselves, work together to keep the house neat, and respect your host's space. Please note that we required volunteers to stay for at least 3 months. As we work with children, we believe that a minimum of 3 months will reduce the stress that our children experience when each volunteer leaves. Our volunteers often get very close to the children and it isn't good for them to constantly experience their loved ones leaving. Thank you for understanding. After you finish your commitment with us and if you wish to work professionally as an English teacher in Vietnam, we will support you in finding a new position. A legal work permit for English teachers requires at least a Bachelor's Degree, TEFL or equivalent, and a non-criminal record. Although we cannot guarantee you a job, we will do our best to help you find a position and may even be able to have one of our partner schools take you on as a full-time teacher.